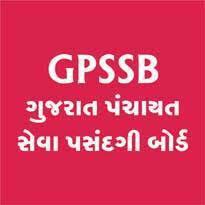 GPSSB Jobs Recruitment Notification 2018.Gujarat Panchayat Service Selection Board inviting applications for the positions of Deputy Secretary.Interested and Eligible candidates can apply for the positions. Total number of Deputy Secretary vacancies to be filled in GPSSB is 77. Bachelor degree holders can apply for deputy secretary post. Minimum age for candidates is 18 years, maximum age for candidates is 35 years. Selected candidates as Dy. Secretary will get pay of Rs.31,340/- as monthly pay. Mode of applying for GPSSB Dy. Secretary notification is through online mode. 26th September 2018 is the last date to apply. Application fee for general/OBC candidates is Rs.100/- and for others there is no fee. https://ojas.gujarat.gov.in/AdvtList.aspx?type=lCxUjNjnTp8%3d is the link to apply.